One day, the mysterious Pokémon Mew tells Pikachu that the 14 pieces of the sky prism have gone missing. 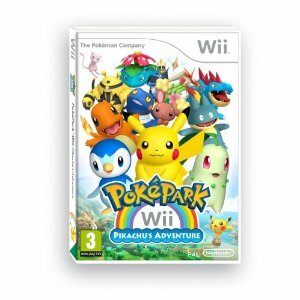 Pikachu and friends set out on an adventure to find them in the Pokepark, which encompasses various areas such as the forest and sea. Pikachu makes friends with other Pokémon and can use their abilities to clear various attractions in the PokéPark. By using these abilities, the player can obtain pieces of the sky prism. In battle, Pikachu is able to use Thunderbolt, Dash and eventually Iron Tail; these can be upgraded to become more powerful.